Drivers who sit in one of the most agonizingly slow daily stretches of traffic in the D.C. region could get a new way around it. There are four potential options to cut down on traffic jams on and around Virginia Route 28. WASHINGTON — Drivers who sit in one of the most agonizingly slow daily stretches of traffic in the D.C. region could get a new way around it. There are four potential options to cut down on traffic jams on and around Va. Route 28 from the area near Bull Run — the Fairfax County line — through Manassas, Manassas Park and Prince William County. Northern Virginia Transportation Authority Chairman Marty Nohe said two options tied to an extension of Godwin Drive appear the most promising. Godwin Drive runs parallel to Va. Route 28 just west of the city of Manassas. Under the plans, it could be extended along land once considered for part of a “Tri-County Parkway” past Prince William Hospital and Splashdown Water Park to connect to Route 28 either just south of Bull Run or just across the creek in Fairfax County, using Ordway Road to connect to the work already underway to widen Route 28 in Fairfax County. Any changes would also fit in with other Route 28 widening projects to the south. The transportation authority has been studying options to help speed up traffic on the Route 28 corridor through the Manassas area for the last year and is now offering the four top alternatives, and a no-build scenario, for comments at a Sept. 7 public meeting. “Over the next few weeks and months, we’ll be reaching out to the community to get input on these to determine which one will not just provide the best cost-benefit, but also will provide the most congestion relief and help people get home from work faster at the end of the day,” Nohe said. Nohe, who is a Prince William County supervisor, said the other two top options besides extending Godwin Drive could have more significant impacts on businesses or neighbors in the Yorkshire area north of Osbourn Park High School. “One of the options we’re obviously considering is widening Route 28, but we know that because of all the commercial development that already exists in that area, it will be incredibly expensive and could be really detrimental to some of those existing businesses,” Nohe said. The fourth option would extend Euclid Avenue, a road parallel to Route 28 just to the east, to Lake Drive to connect to Route 28 near the Orchard Bridge Apartments near Bull Run. While the maps of potential alternatives show the general concept of each route, the precise properties that would be impacted by whichever alternative is selected have not been finalized and would be subject to final design changes and public comments. Construction is at least several years away. The Northern Virginia Transportation Authority would likely fund a significant portion of the project through the regional tax revenue it controls. None of the money for this project is expected to come from the money tied to the Interstate 66 toll lanes project, but Nohe said the overall Route 28 changes would not make much sense without the redesign of the Route 28 and I-66 interchange that is being rebuilt as part of that project. A public meeting is scheduled from 6:30 p.m. to 8:30 p.m. on Thursday, Sept. 7 at the Manassas Park Community Center, with a presentation at 7 p.m. 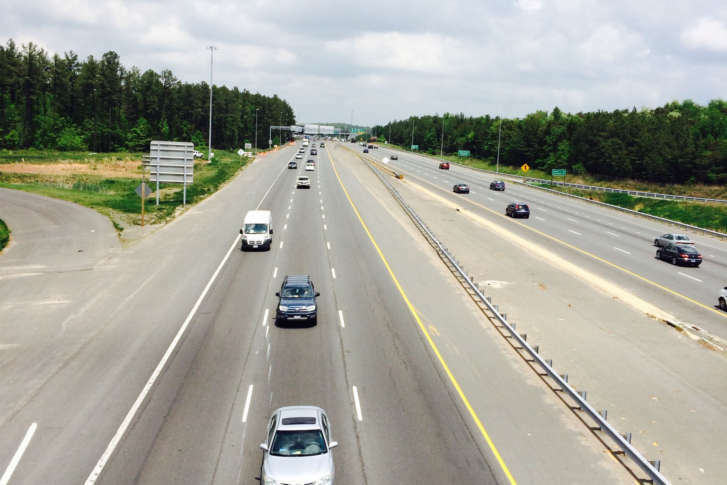 The authority then expects a draft study report this fall based on input from the public, Prince William County, Manassas, Fairfax County, the Virginia Department of Transportation and the Federal Highway Administration. Any actual construction is years away since Prince William County and the Northern Virginia Transportation Authority would have to add the selected project to long-range plans, identify funding and finalize construction plans.